Lou Lamoriello and Barry Trotz seemed to have prepared for this from day one. Adding the proper spice to an existing inventory has been successful. They have created the most competitive team in the shortest amount of time possible. In my last post I went over the matchups for this series, and what I thought coach Trotz would do to counterbalance his team’s lack of playoff experience. I think I pretty much nailed it. But if a slightly more than casual observer could break down a strategy to beat the Penguins, that strategy has to be rock solid. It certainly was no secret. The external hero of last night was Josh Bailey. If you read the matchup post you know the real hero was Casey Cizikas. Each one of the other three line combinations had a CF% lower than 50. Casey, Martin and Clutterbuck (MC^2) were 55.56%. Sidney Crosby, Guentzel and Rust were 25.93%. That is one helluva job by Casey, and to some extent the other lines. Casey matched up against Sid in almost all of the defensive zone starts. With the top line neutralized the strategy is to keep the shots from the perimeter, and your fingers crossed. Robin Lehner certainly won the goaltending battle. Both teams had similar shot distribution 5v5, but the Penguins shot with more frequency(37 to 24). What we saw last night were two pretty evenly matched teams, with vastly different attributes. What does that even mean? 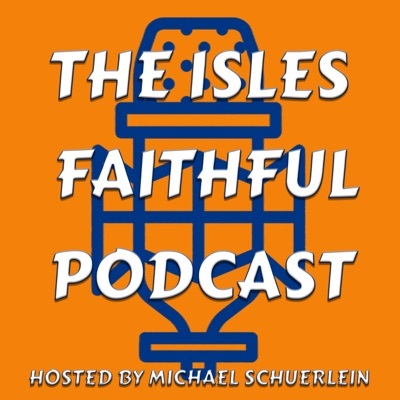 When the season started the Islanders were in a bit of a hole. They had just lost their star center, and were ready to move away from their 12 year general manager and a failed coaching staff. I won’t go into the details of that, but I will trace the key steps. Lou Lamoriello was hired as President and General Manager. Much like the creation story he was given about seven days. The first thing he did was turn the lights on, and the second thing was to hire Barry Trotz. Barry Trotz was not only the best coach that had been available to the Islanders since Al Arbour retired, he was the most in line with Lou’s “Burger Barn” mentality. What we are seeing today is the dinner cooked by two guys who went shopping with the same menu in mind. The Islanders historically do not attract high end free agents. To the contrary they repel them. So when the dynamic duo put this roster together they had that in mind. You don’t go after $10M superstars to replace John Tavares. Nobody has ever won a Stanley Cup with John Tavares on the roster. But they have with Tom Kuhnhackl. If you shop at Walmart you can get Kuhnhackl, Lehner, Filppula and Komarov for less than $10M. Those four served as the main ingredients in a menu created to fix the Islanders defensive woes, and more than anything their horrible penalty kill. That’s it. The rest would be on structure and execution. They had a few rounds in the chamber like Ho-Sang and Toews, but those four were really the only talent brought in from outside the organization. This has taken the full 82 games. It certainly appeared to be the first Islander meritocracy of the past decade or two. Barry started with his cast of veterans, and allowed his younger talent to flow in as injuries occured and they earned their opportunities. We saw some fail. Even though Josh Ho-Sang had good possession numbers in his stint with the big club, he didn’t produce offensively. When Eberle returned, he was demoted to work on what we could only define as “Josh Things”. We also saw some succeed. Michael Dal Colle went from being an obscure high first round bust to an AHL all-star almost overnight. When he was given an opportunity in the NHL he embraced every role and proved himself worthy of a full time roster spot. We also saw one player super succeed. Devon Toews was called up as a replacement for an injured Thomas Hickey. He not only proved himself worthy of a roster spot, but won Hickey’s playing time. He’s even earned the spot as the first power play quarterback. The power play certainly can use some work, but it has improved with Toews’ reflexive puck distribution and his above average shot from the point. The minor personnel changes and the overall philosophy of defense first instead of “defense, what the heck is that” transformed this team from a lottery team to what now looks like a team on the cusp of cup contention. In selecting Tom Kuhnhackl over Dal Colle Barry Trotz selected a player who had over 40 playoff games and two Stanley Cup rings with his current opponent. Kuhnhackl rewarded him by putting the puck in the net twice. Both goals were disallowed, but that doesn’t discount the fact that he beat Matt Murray twice. Kuhnhackl also gave the Islanders a minute and a half of penalty killing. He was on the ice for the Penguin’s lone power play goal, but you can’t fault him for a shot tipped in by Adam Pelech. Those things are just going to happen when you are playing 4 on 5 against an all-star team. The clear choice for goal last night was Robin Lehner. He was the hot hand and the Islanders rode his goaltending into a home ice advantage in the first round. There’s no telling what the game would have been like if the choice went the other way, but Lehner rewarded them with a stellar performance. He allowed one 5v5 goal by one of the premiere shooters in the league and two goals at a man disadvantage. One was deflected and the other from a blind shot through heavy traffic. The key was Robin made key saves all night, and a ton of them. The Islanders were outshot 33-44 and never trailed. NOT FOR ONE SECOND. I fully expect the same lineup for game two. I also expect the same strategy choices throughout the first round. Even when Trotz does not have last change in Pittsburgh, he will deploy his lines similarly. Casey and Filppula for defensive zone face offs, and Brock and Barzal for offensive zone starts. He’ll try to get Pulock and Pelech out against Crosby as much as possible, but all three pairings can handle the skating aspect of covering that line. Their breakdowns came mostly from well execute cross-ice drops and the creation of time and space by a very talented group of Penguins. My original prediction, Islanders in six, still stands. I’m just a little more confident in their future. Not only this playoff year, but beyond that. This team may not win another game this year, but they have already proven that they should be taken seriously as a Metro Division contender, and with some maturation and possibly an addition or two, a Stanley Cup contender as well. Husband, father and a NY Islander fan that can type a few words per minute and still chew gum at the same time.